Substitute half the white flour with whole wheat flour in your regular recipes for cookies, muffins, quick breads and pancakes. Or be bold and add up to 20% of another whole grain flour such as sorghum. 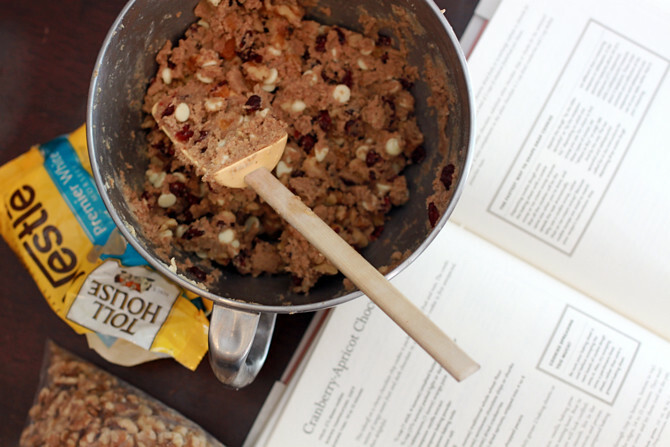 Replace one third of the flour in a recipe with quick oats or old-fashioned oats. Add three-quarters of a cup of uncooked oats for each pound of ground beef or turkey when you make meatballs, burgers or meatloaf. Stir a handful of rolled oats in your yogurt, for quick crunch with no cooking necessary. 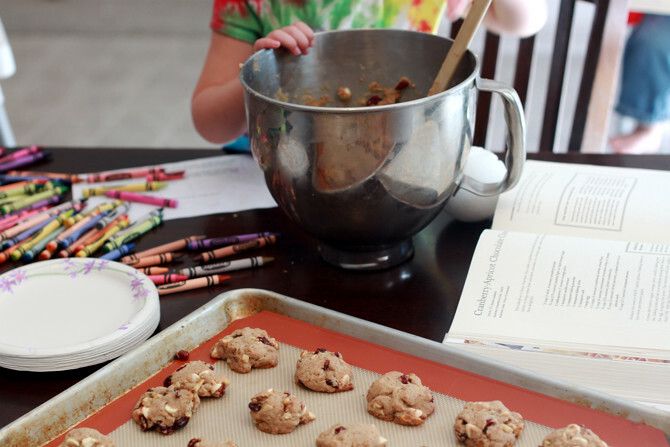 We made some of our favorite cookies, Cranberry Apricot Chocolate Chews, from my Whole Grain Baking book. They are packed with fruit, nuts, whole grains, and (less than prescribed) sugar. I like to make them small so the children and I can pop a few into our mouths for snack time. You can find the recipe here. Delicious, colorful, and healthy.